March GIVEAWAY [CLOSED] - Cherry Colors - Cosmetics Heaven! A new month and since Spring is almost here it's time to focus on the new goodies! And what doesn't say Spring more than a radiant skin? The rules are simple. Be a follower anywhere, and for an extra boost be a follower of Ecco Verde Slovenija! 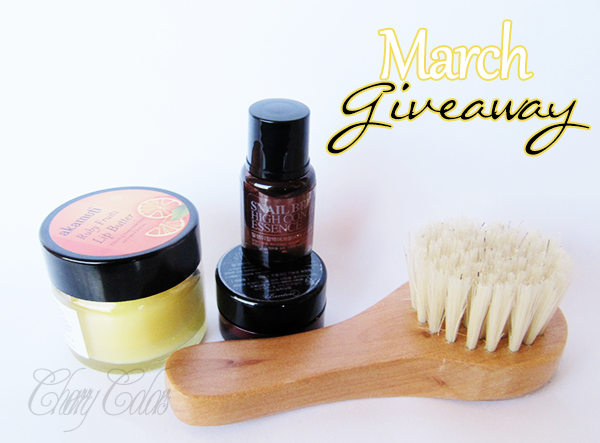 Giveaway starts in March 15th and ends on April 15th (GMT +1). Open internationally!